I’ve been paid for personal financial advice since 2002 so you could say that I’ve been at it for awhile – more than a dozen years. In all that time, I’ve been consistently struck by the similarities between good financial planning and the better parts of working with a good doctor. You’re empowered to make better daily decisions. Better daily decisions lead to better health which makes you feel even better, leads to greater confidence and eventually results in even better daily decisions in a positive reinforcement loop. What can happen after working with me on your personal finance issues? You’ll be empowered to make better daily decisions. Better daily decisions will lead to better Wealth Health and a better Quality of Life which will make you feel even better, lead to greater confidence and eventually result in even better daily decisions with your money (in a positive reinforcement loop). 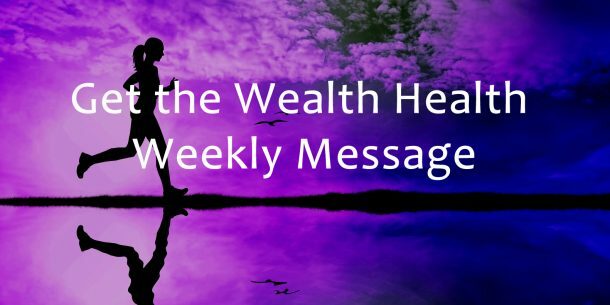 This is why I originally coined the phrase “Wealth Health” back in 2008 and have used it regularly (many times a day) since then. “Wealth Health” and physical “Wellness” are almost exactly the same in terms of both process and results. You feel better in the end. They’re both about daily decisions. They each build on positive feedback loops and the best practitioners come at their work passionately from a place of service and doing what’s best for you in the long run. They do also have what I call “experience delivery” and marketing message issues where people who need help don’t get it because they think the cost in terms of money, time and/or effort won’t be worth the end result (a topic for a later post). “Wealth” accounts for more than just your money, investment accounts or what shows up on your financial balance sheet. Time and Energy are the other critical components. “Health” represents the quality of your daily choices. They are either healthy and empowering or unhealthy and self-destructive. When it comes to your physical health, those choices include what you choose to put into your body (food, beverage, breathing) – what you invest (to use a financial term). 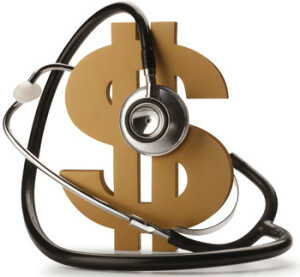 “Wealth Health” is HOW you choose to use/spend/invest all three of your primary resources (Money, Time & Energy). Those choices determine the Quality of Life you are able to enjoy from the perspective of a financial underpinning.